Adam Kotsko (author of a new book on Žižek, which I’ve just finished reading) has been working through Giorgio Agamben’s latest book, Il Regno e la Gloria. 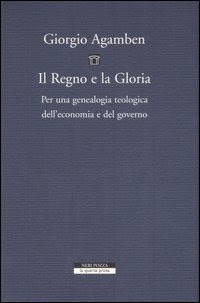 Per una genealogia teologica dell’economia e del governo [The Reign and the Glory: A Theological Genealogy of Economy and Government]. You can see a list of the posts here, or you can download the full series as a pdf. For those of us who don’t read Italian, this is an extremely helpful and remarkably fascinating chapter-by-chapter summary. 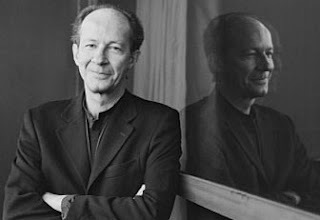 From the sounds of it, Il Regno e la Gloria is Agamben’s most theologically sophisticated work to date. He engages with theo-political thinkers like Schmitt and Peterson, as well as theologians like Barth, Moltmann, Balthasar, Aquinas, Augustine, Origen, the Cappadoccians, the Arians, and St Paul.